I'm so into stamping right now you guys, oh my gosh. I have so many new plates but when I last sat down to do my nails I was shocked to find that I didn't own any basic black stamping polish! Can you believe it? 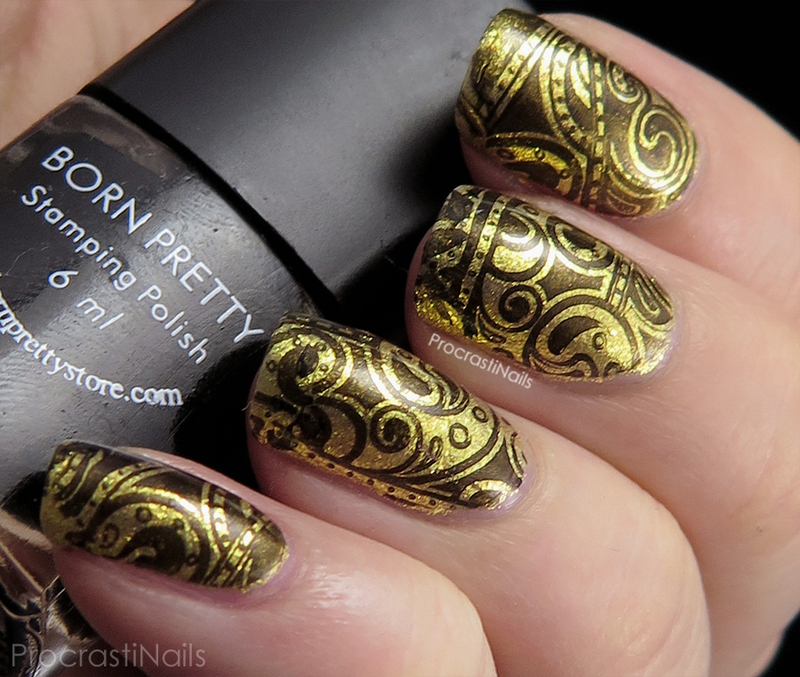 Born Pretty Store didn't send this particular stamping plate for review but I want to take a quick minute to talk about how much I love the plates they've been putting out recently. They have so many great designs and the plates all stamp really well and crisply - this one was no exception! Overall I'm really happy with this polish, though if I had to make one constructive comment it would be for it to be a wee bit more opaque, though that might be the stamp and not the polish (I'll have to experiment further). The polish also had a bit of a strong smell but not so much as to be distracting. It applied and scraped off the stamp really well. 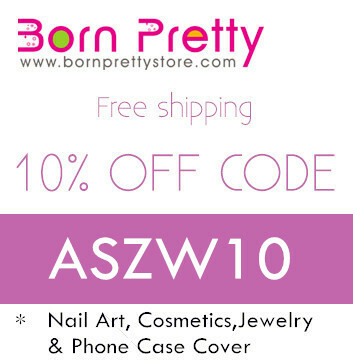 What's your favourite brand of stamping polish? Have you tried the ones from BPS yet? These are gorgeous! That gold is beautiful! Black and gold are one of my favorite color combos! I love the design and combo. I think the opacity works perfect for this design but I would have to see it on its own I think. This looks beauuuutiful! It looks nice and while I would prefer more opacity, I do like that the touch of sheerness lets the gold "glow" through it! Love the black against the gold here! 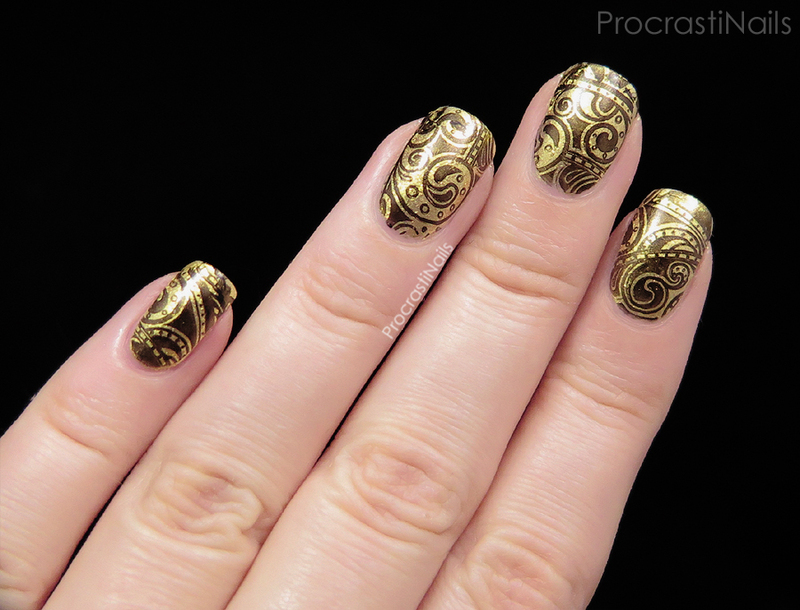 So pretty and like you, I've been really into stamping too. Such a gorgeous mani. I really like the black against the flecked gold. I love how "vintage" these nails look! Normally I'd love the black to be bolder but it just works like this with this combination! Beautiful. It feels very steam-punk and retro chic! 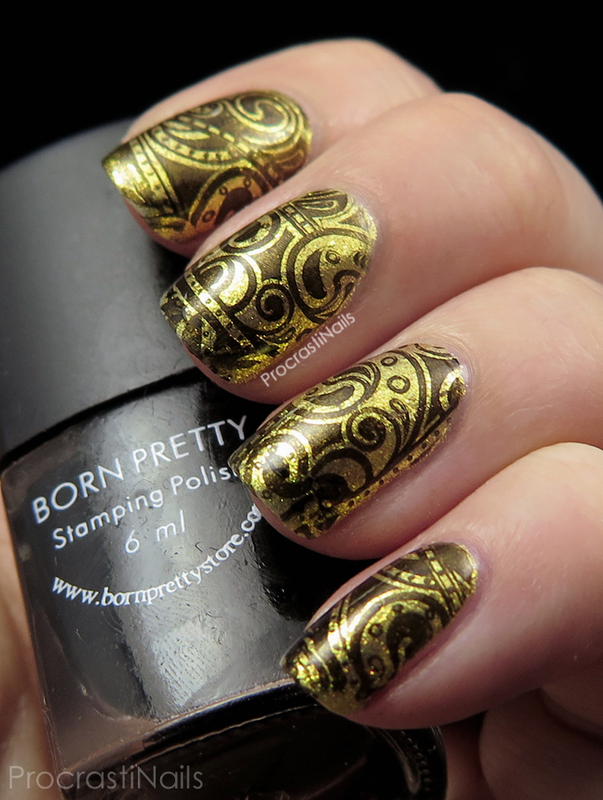 I so agree with you about the new stamping plates from BornPretty! They are awesome! The pattern you used here goes so well with that golden base! Oooh I love this design and the colors you used! It does look slightly sheer, but it stamped really crisply. I like the "sheerness" of it in this particular design. 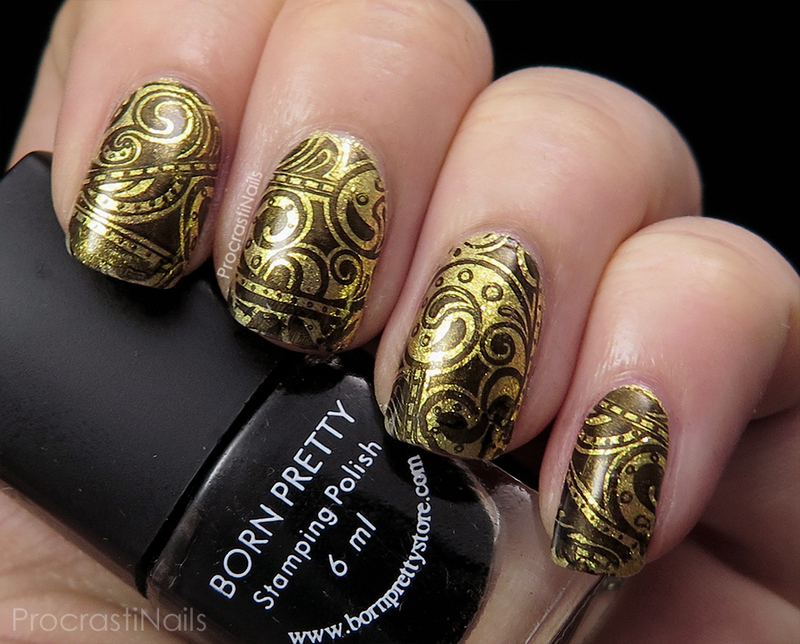 I'm glad to see a review of their stamping polishes, I've been wondering how they did. I really love my MdU black for stamping, it is super opaque, but the smell is harsh. Wow, you've stamped it so beautifully! 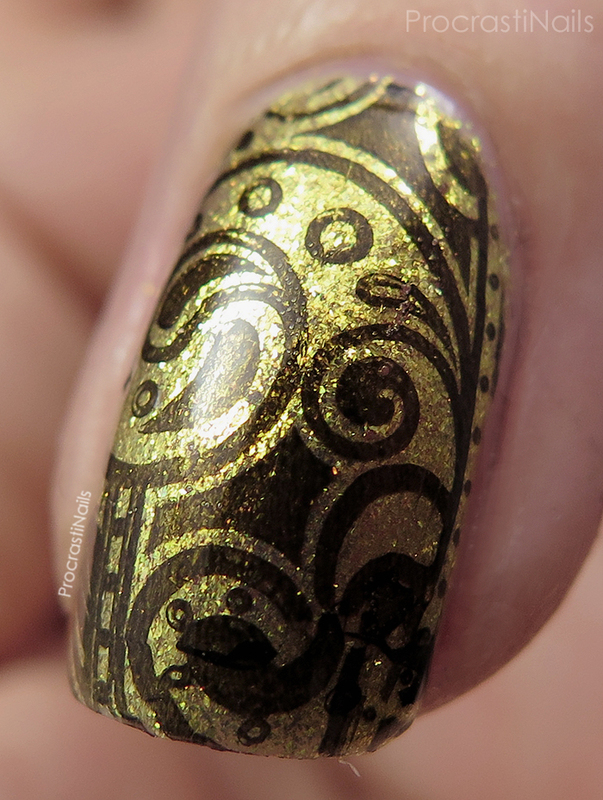 And the gold underneath, wow, it's a gorgeous manicure! what a beautiful final look! Very pretty!